Retired U.S. 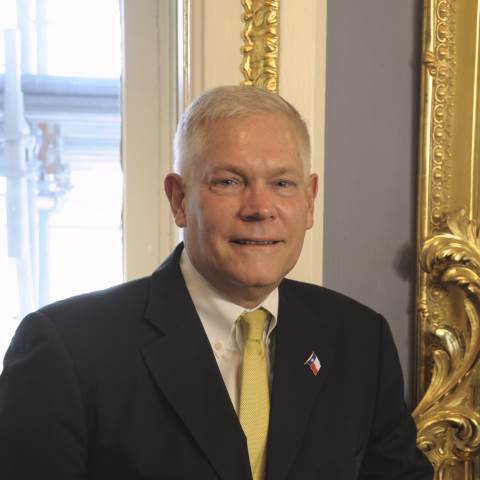 Congressman Pete Sessions will be the 16th speaker in the annual Class of 1953 Lectureship Series on Thursday, April 11, in Morris Chapel. Sessions represented the people of north Texas for 22 years and now runs a Dallas-based consulting and public affairs company, Sessions LLC. Sessions grew up in Waco, Texas. He graduated from Churchill High School in San Antonio and went on to graduate from Southwestern University, where he has served on the Board of Trustees since 2006. He worked for then-Southwestern Bell Telephone Co. for 16 years, retiring as the district marketing manager in Dallas. Sessions was first elected to the U.S. House of Representatives in 1997 and served 11 consecutive terms. From 2013-2019, he served as the chairman of the House Rules Committee, which is responsible for establishing the terms and conditions of debate on the floor of the U.S. House of Representatives. This included determining the amendments, if any, that were determined to be in order for final vote on legislation. In 2008 and again in 2010, Sessions was elected by the House Republican Conference as chairman of the National Republican Congressional Committee. During his 22 years as a member of Congress, Sessions was responsible for the appointments of over 150 cadets to our country’s military academies including the United States Academy at West Point, Navy Academy, Air Force Academy, Merchant Marine Academy and Coast Guard Academy. Congressman Sessions is married to Karen Sessions, who is presently serving in a White House appointment to the Millennium Challenge Corp. as the vice president of congressional and public affairs. They reside in Dallas, Texas, where they are actively involved in their church and community. Pete is an Adopt-a-Shoreline team leader in the effort to maintain White Rock Lake in Dallas and an advisor to the president of Special Olympics Texas. He is also an Eagle Scout (1970) and serves on the National Eagle Scout Association Committee and the Circle Ten Council in north Texas. The Class of 1953 Lectureship Series was established in 2003 to commemorate the class’s 50th reunion.